From Expo Mom North in Trinoma, we head further up north to the beautiful city of Baguio! On November 10, 2018, from 10am to 9pm, at the City Light Hotel, you can find the latest curated line-up of mom and baby products. One of the highlights of Expo Mom is an all-day program that promises new insights, learnings, and fun. Here is the lineup for November 10. 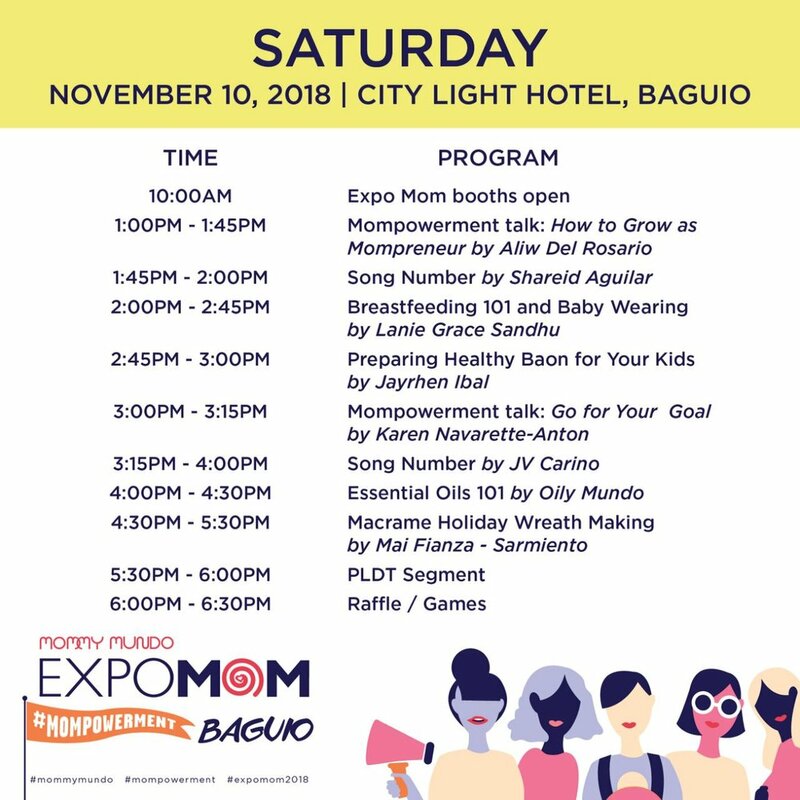 Expo Mom Baguio is brought to us by PLDT Home Fibr. We can’t wait to see you there! Confirm your attendance by registering below. It’ll only take a minute! Thank you! Please expect a confirmation email soon!